VH-NHN. Fokker F28-0100. c/n 11469. Registered to Aircraft N1457B Trust c/- Wilmington Trust, Wilmington, DE, U. S. A.
VH-NHN. 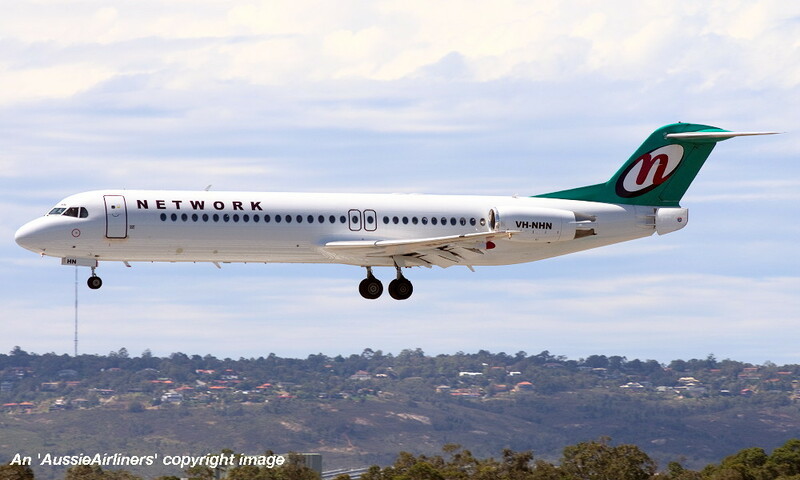 Network - in the standard livery at Perth Airport, August 09, 2012. VH-NHN. Network - in the standard livery at Perth Airport, September 07, 2012. VH-NHN. Network - in the standard livery at Perth Airport, September 17, 2012. VH-NHN. 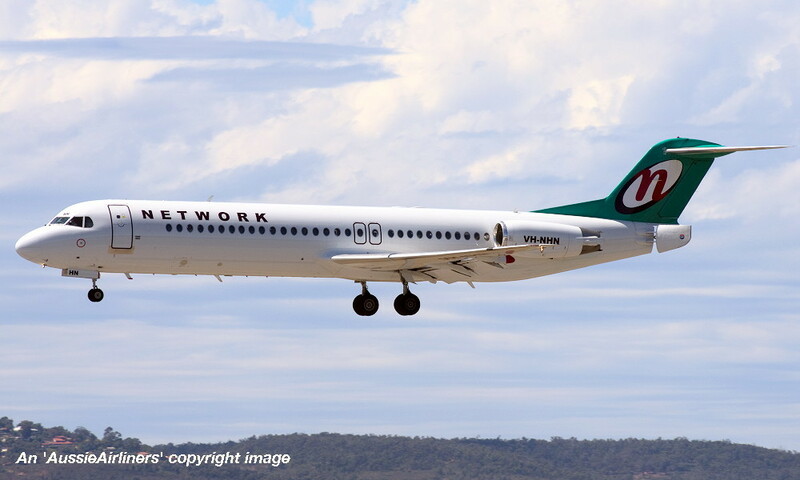 Network - in the standard livery at Perth Airport, October 02, 2012. VH-NHN. 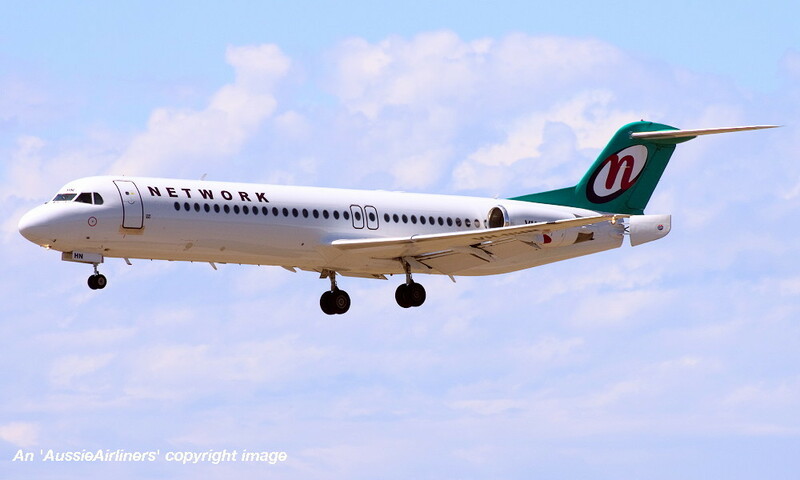 Network - in the standard livery at Perth Airport, October 24, 2013. VH-NHN. 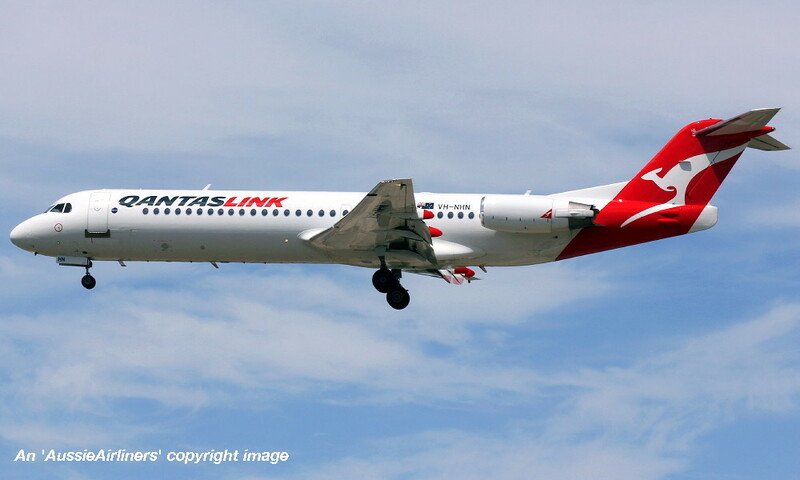 QantasLink - in the 'New Roo 2007' livery at Perth Airport, March 08, 2017.